Radio Hall Of Fame Inductee and Listed in the GUINNESS BOOK OF WORLD RECORDS AS The Longest running on air personality in RADIO HISTORY! 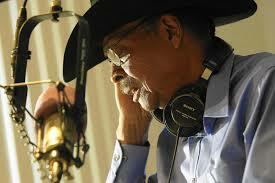 ; HERB KENT is playin our favorites from back in the day on COOL JAMS. This Cool Jams show features The Delphonics and many other hit makers. Back in the day when there were basement parties you’d put on the Delphonics when it was time to slow dance and grind! Yeah! Click and enjoy. We call this one, They’re Playing Our Song, because this session of Cool Jams features songs for couples to do what ever couples do! AKA Baby Makin Music to share with your special someone. Enjoy. This week’s Cool Jams is called Love And Togetherness because it’s all about LOVE And the cool thing is that you don’t have to wait a week between shows like when they aired on radio back in the day.Enjoy! When I was a kid you could buy candy from a vending machine when you went to a movie. Among the candy selection displayed in each compartment was a slot with the words”Guess What” written on a piece of paper. If you made that choice you might get two for one or candy and a prize. Either way you would always get something sweet. So we call this edition of Cool Jams Guess What, cause no matter what drops; it’s gonna be good! Treat yourself!